To add a file to a webpage, select the FILES button in your side editing bar. 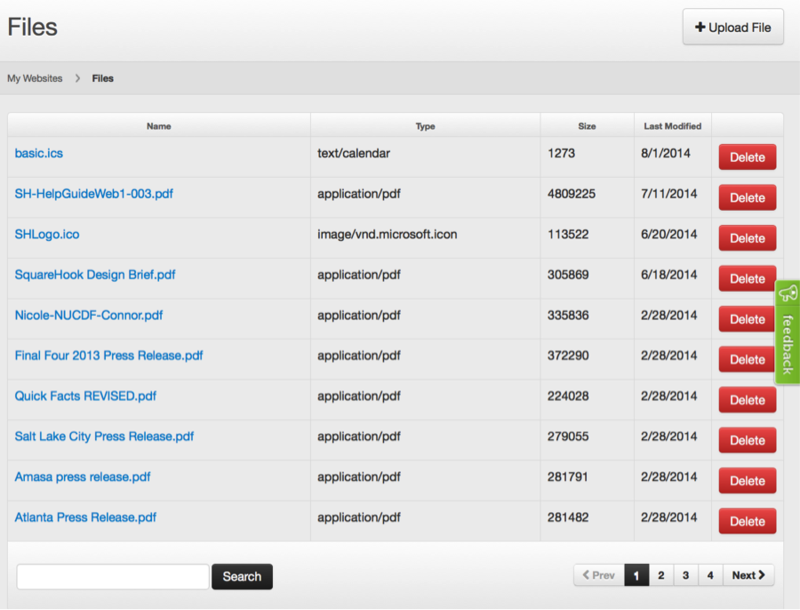 Once you’ve added a file to your files library, there should be a running total, saved chronologically. Select OPEN to begin uploading your file. It may take a second or two to upload. Your file will load into your file library. 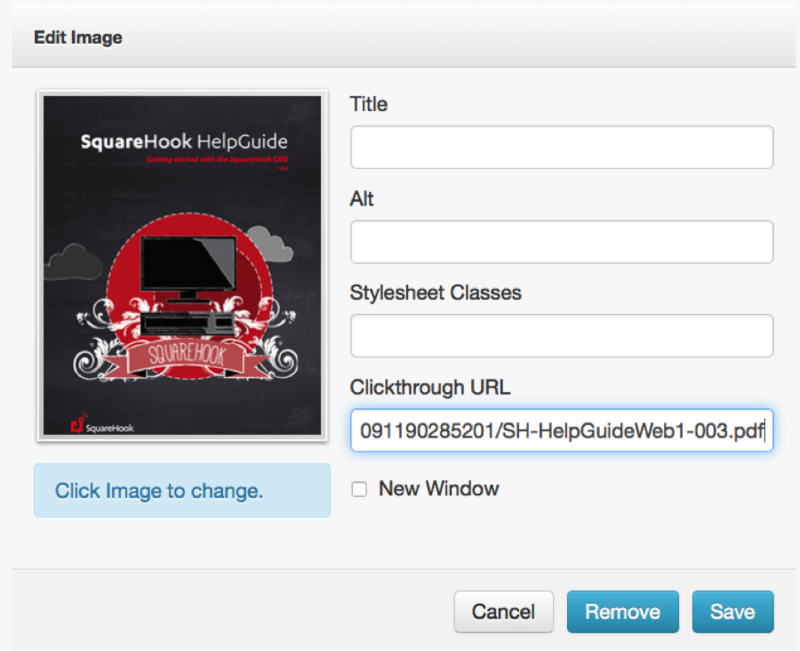 If you’re adding a PDF file somewhere on your site, the SquareHook Tool will created a custom URL to link it anywhere. 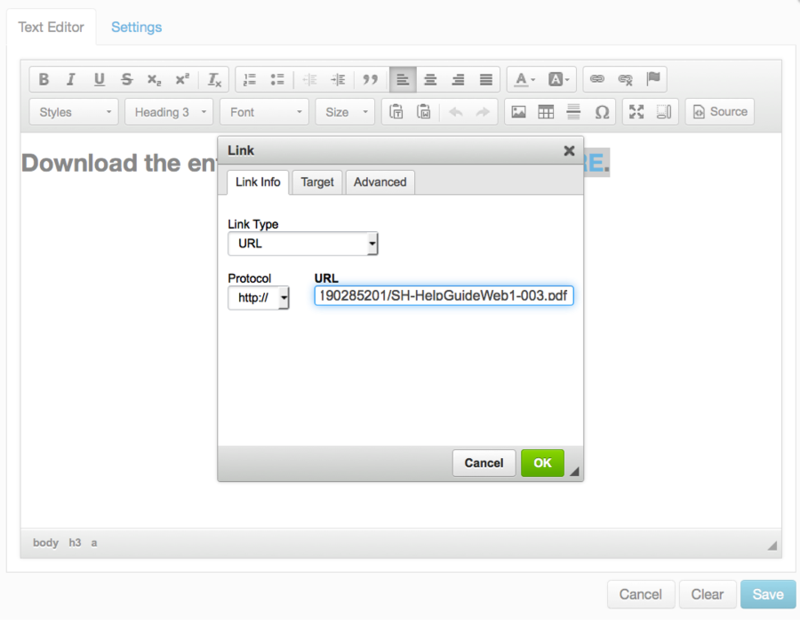 Just select the file you’ve added to your file library, and a new window will open up, showing that url. 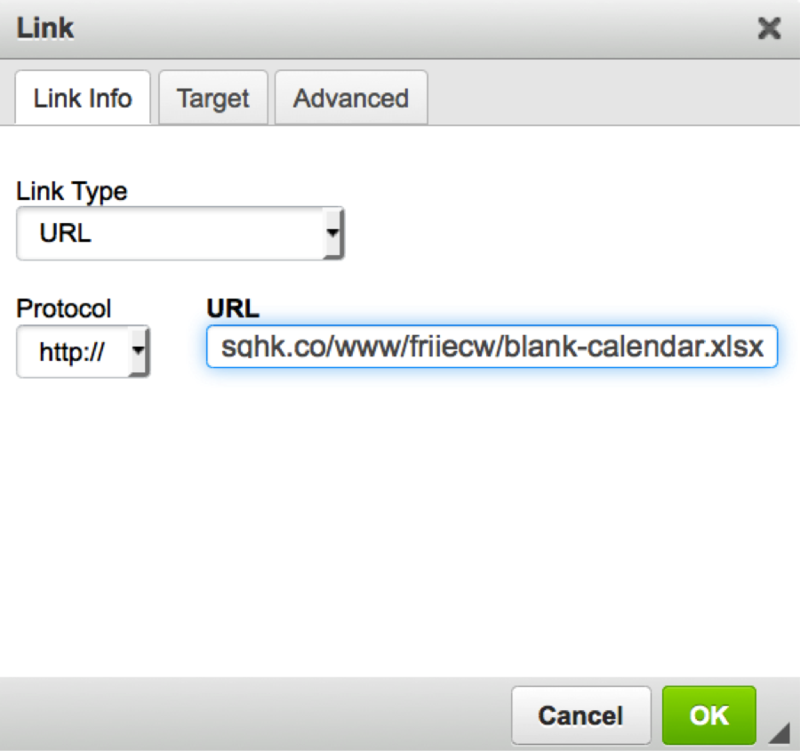 Copy the URL and hyperlink it to that image or text you’d like users to click on to access your file. Choose the image you have added to your page. Double click on the image. It will popup with a prompt to alter the image, add a title, sytlesheet, and clickthrough. In the Clickthrough URL spot, enter in the link you have copied, then hit the SAVE button. Be sure to select PUBLISH to apply your settings. Just right click your mouse, and you will be prompted to choose from several options. Select COPY LINK, that will be stored in your memory until you paste the url in.